Picture the sentence! 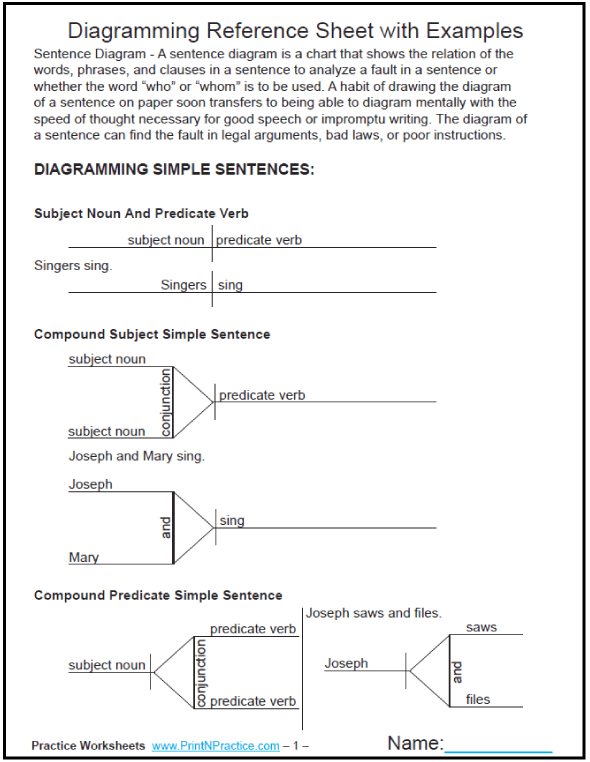 Our diagramming sentences worksheet PDFs show the parts of speech on the chart where they go. Analyzing and beginning to diagram English sentences can be so much fun if the children know what they're supposed to do. It's like a puzzle. Parsing on a diagram is the easiest way for kids to picture English grammar, and its my favorite way to present diagrams. When I am teaching about the different grammatical terms, I put a diagram right at the top of the board and work from there. I constantly name the subject, verb, and object so that extra memorizing is not necessary for the children to understand their placement (although it is very good to memorize the definitions as well). Analyzing is so much easier when there is a chart, a map for the words. 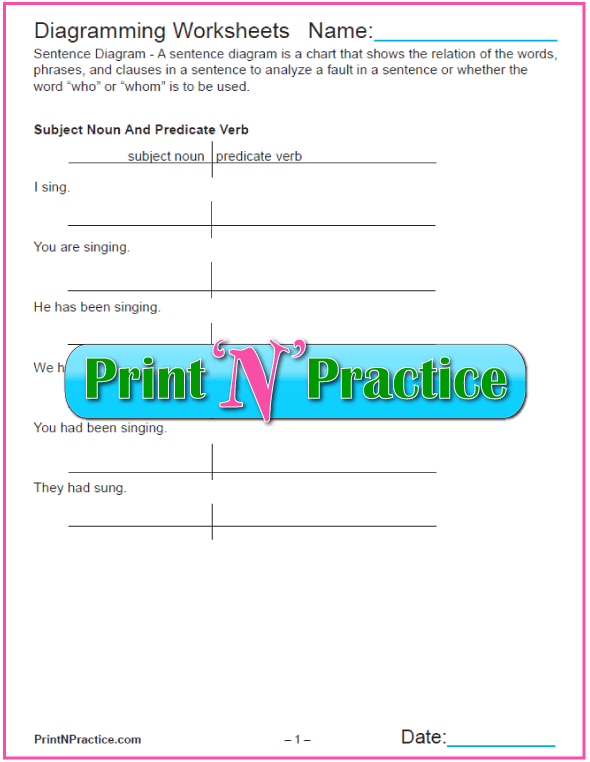 You can use PrintNPractice worksheets as blanks or models for your own sentences. 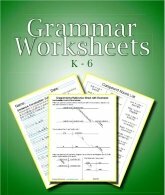 Why use English Grammar worksheets? One reason is so that children see sentences written in a grammatically correct manner. Diagramming shows the pattern of the English language. So many grammar lessons today would be so much better if they would include the charts that show where the subjects, verbs, and objects fit on the diagram. I do know that every time I've taught grammar; the students understand the terminology much better if I place the terms on a chart first and then use the terms frequently. Repetition is also part of a successful strategy. Know where those parts fit on a chart. Have you ever seen a chart that teaches where the subject, the verb and the object fit? I hadn't for very many years until I found one in a 1930s book. To make it easy, I include these charts for you to print below. The usual offering in text books is simply an example of a sentence already placed on the diagram which can still leave a beginner wondering which part of speech fits where. Use the printables below to solve this difficulty and to introduce the concepts as well. I have images of the diagrams below the diagramming worksheets for the different parts of speech. Elizabeth O'Brien's English Grammar Revolution which is great for higher level and in school programs. See more about her at the bottom of this page. Looking at diagramming sentences on simple charts can be a huge help. Use the reference sheets above. There's a chart for your binder, examples, and worksheets. Our worksheets cover supplementary practice and the following images are a quick road map to grammar. 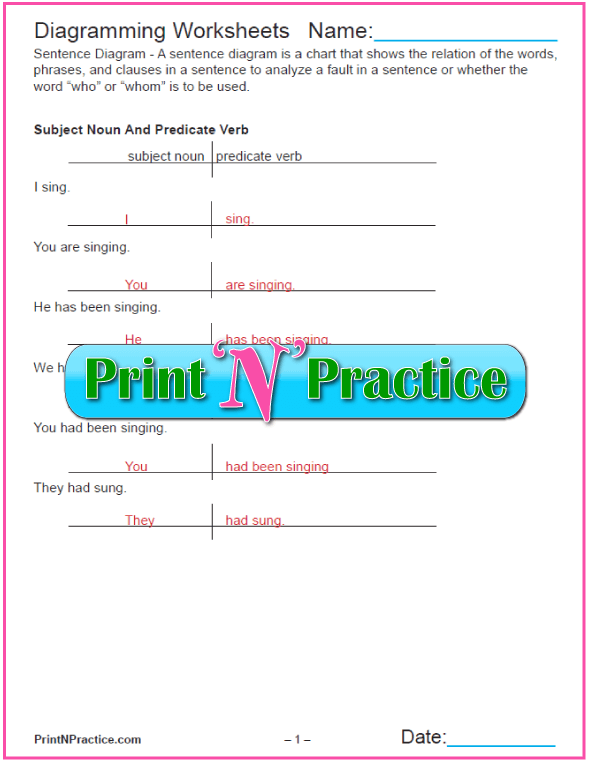 Below I have linked to pages that have easy grammar worksheets for the topic in the images. A List of Prepositions makes diagramming sentences with prepositions much easier. 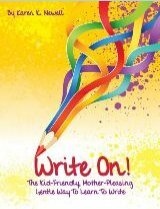 Once your kids recognize prepositions, they can diagram them better and they can better understand the logic in their writing. Adverbs describe verbs and adjectives, so be sure the children recognize both verbs and adjectives. It's super much easy when they can recognize the -ly ending and a list of common adverbs, too. See our simple adverb worksheets here. This sort of grammar is great for third grade and higher because the children are beginning to be able to understand the logic of word placement. They can now describe words and their uses. Again, placing adverbs on the diagram can be like hanging ornaments or decorating a sentence. Be sure to show the relation to the verb or the particular adjective that is being described. This applies to adverbs, adverb phrases and adverb clauses. Although phrases and clauses might be better studied in fourth through sixth grade. 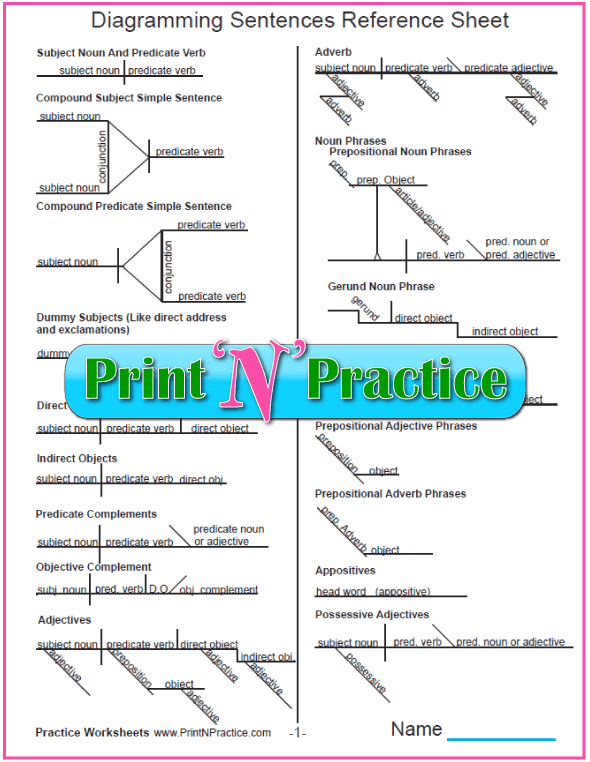 Diagramming prepositional noun phrases is easier once you are familiar with the list of prepositions. Memorize the list for a much easier time learning the grammar of prepositions. See our simple gerund worksheets here. See our simple infinitive worksheets here. Karen Newell calls this the Granddaddy of all Sentences! Me, too. Direct objects, indirect objects, and the objective case. 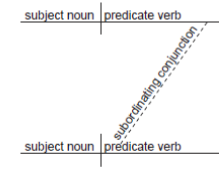 Karen Newell has a wonderful trick for diagramming sentences by which she makes the Predicate Noun use the \ line for the slant in the N of Noun and a / line for the slant in the A of Adjective. This is super easy to remember at the board, and very handy for helping children remember these two kinds of predicates. This is one of my favorite sets of worksheets. It has the definitions and some examples of the punctuation rules with practice for each. See our punctuation rules and worksheets here. See the punctuation rules here. When the quote is a partial sentence that is part of the host sentence, diagram it as part of the sentence or clause. 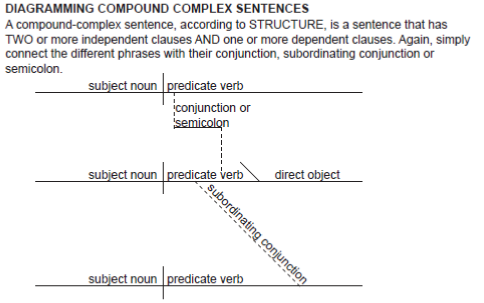 When diagramming direct quotations of complete sentences, simply diagram each sentence separately. Why use a sentence diagramming worksheet? Sentence diagramming shows the logical relation of grammatical terms to each other so that an author or speaker can check that he logically conveys his message to his reader or listener. The nature of speech is to communicate truth. If the listener does not understand what the speaker says, there is not a complete communication between them. Analyzing sentences is a tool that helps ensure that sentences are logical and convey what's meant to be communicated. Doctors, lawyers, engineers, and ordinary laymen who follow the grammar rules and definitions in their writing will better instruct or inform their readers. Order and structure are important for logic. Grammar helps children see this order. English, for ESL students to know, is a mathematically logical language. An English proposition is very much like a mathematical equation, especially when it uses linking verbs. Some Spanish speaking students would want to beware the double negative in English which means a positive as with multiplying two negative numbers. -2 x -2 = 4 A negative times a negative will equal a positive. A truth, or untruth, is affirmed of the subject by the predicate, and it describes (predicate adjective), names or defines (predicate nominative) the subject. Seeing this shows the logic in a proposition. After that, learning a list of conjunctions and a list of prepositions makes finding the clauses (conjunctions) and phrases (prepositional) easier so that you can recognize them by their first words. Then put them where they go on the diagram. Conjunctions link equal elements in a sentence and prepositions link the "position" of the noun, pre - position. 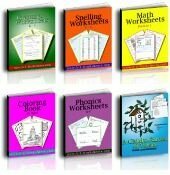 Karen Newell's Grammar Slammer teaches this super well and in a fun manner for classroom or for one-on-one Grammar tutors and homeschool. Do you ever say, "Keep your train of thought"? I do. And I use this image of a train with my students. Little ones love to see the subject engine, the verb tender, and the object caboose. Older ones are amused and quickly get the idea. Truly, I draw a bit of a train on the board. This gives kids help with diagramming English sentences and shows them the logic. Most kids find this to be fun, especially when you show how the meaning changes if you switch the word order. All the extras? Well, I just start drawing the links for adjectives, adverbs, conjunctions, and prepositions. It's mostly charting and making connections, kind of like one engine pulling more than one line of trains. The reference charts at the top of this page have the parts of speech answers on the charts and are super handy to keep on your desk. Print them for your students to use as a reference and they'll have a head start in Grammar class. 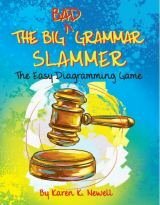 Again, if you're looking for an easy way to teach English Grammar as a complete course for middle school or beginner high school, see Karen Newell's Grammar Slammer. Remember how I said above that I hadn't seen the parts of speech on diagrams? It's true. I have, to this day, only seen that one old book that did place the words subject-verb-object in their proper places on the diagram, and that must have been quite the feat since the words were hand written onto the diagram! Imagine the children who have no idea! Since I first wrote this in 2009, I've discovered Elizabeth O'Brien's English Grammar Revolution. She's done a wonderful job of teaching diagrams and has a full curriculum to make the job easy for both you and I. If you like this way of teaching Grammar, she'll take you through a whole curriculum clear through high school level. If you're looking for an easy and complete curriculum I'd like you to check what Elizabeth O'Brien has in her English Grammar Revolution workbooks, videos, and manuals. I think that you'll really like our diagramming sentences worksheet printables at the top of this page. Thank you for sending your friends here to see them, too. See more simple worksheets from our main grammar worksheets page or check out Karen's Grammar Slammer here. Thank you for visiting PrintNPractice!